The Johnstons started out as a close harmony trio comprising sister Adrienne and Lucy [ sic] and brother Michael, who also accompanied them on 12-string guitar. In the beginning they were content to entertain locals and toursists in the family's pub (since sold, incidentally) in Slane, a picturesque village nestling in County Meath's Boyne Valley. But as their experience and ambition grew, the thriving Dublin folk scene inevitably beckoned. Soon they were regular commuters on the 30-mile run between Slane and the capital. They won the first contest they entered—Wexford Festival of lreland's Ballads. 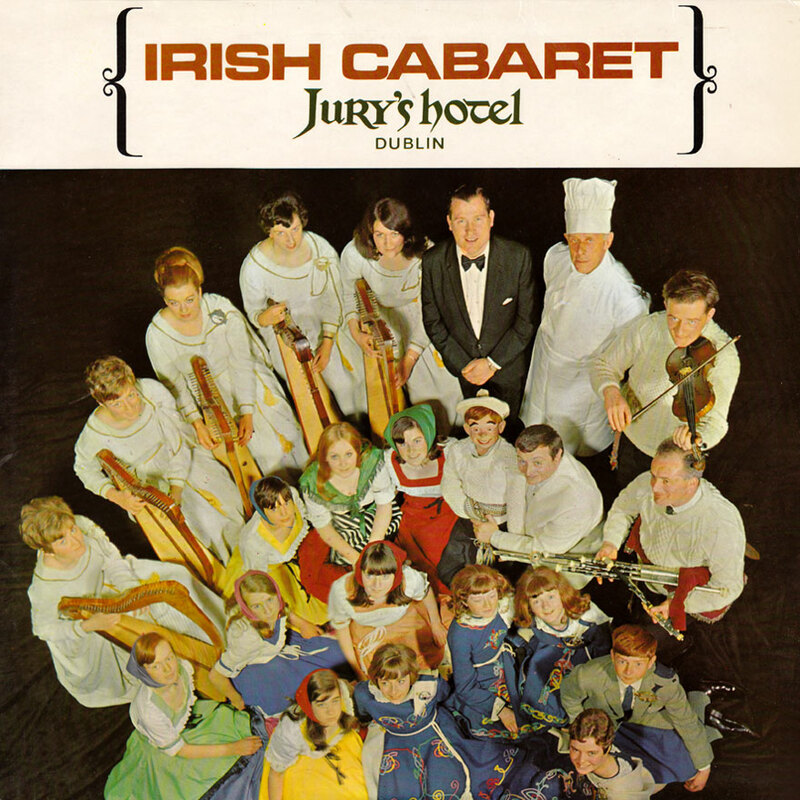 Another landmark was an appearance on Telefis Eireanns Late-Late Snow, which led to national interest in the group… and which in turn brought them a recording contract. 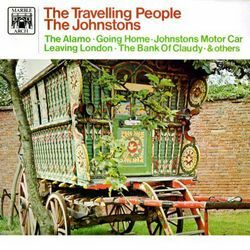 At the time, one song dominated their repertoire — Ewan MacColl's "The Travelling People", which originated as the theme for a BBC-TV series It was the logical choice to be featured on their debut disc. 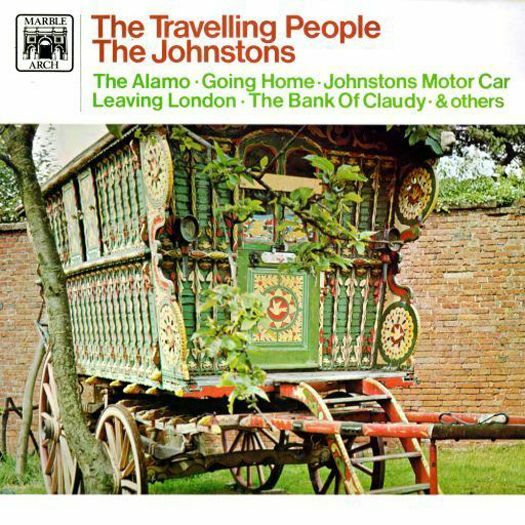 Something about it, and the Johnstons' absorbing interpretation, struck a chord with thousands of people, who went out and bought it all the way to No 1 in the Irish charts. As you play this album, perhaps you'll wonder why the vocal lineup varies on several tracks, two male voices being heard instead of one. The explanation lies in the fact that Michael Johnston decided to retire from the unit after a couple of discs, returning to farm the family's land in Slane. 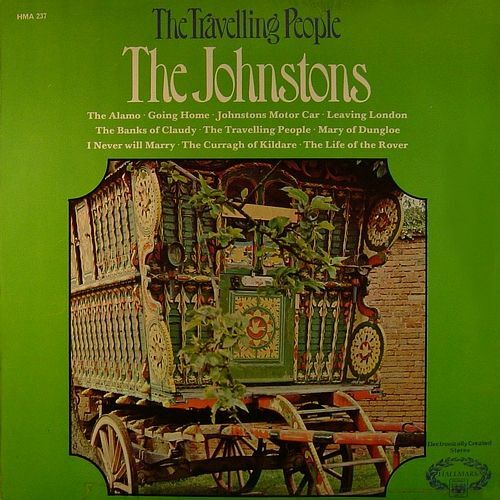 This is a compilation of the Johnstons' first four single releases and the two tracks from Irish Cabaret.